[By Nick, discontinued after 2013] This is probably the unpopular opinion here but I absolutely hate summer. It is by far my least favorite season. I’m not a fan of sweating, swimming, or (insert other summer activity that starts with s here). One of the only good things about summer is the abundance of fresh fruit, and more specifically, cherries. Sure you can get cherries year round but nothing compares to the ones you get from your local farmers’ market. Juicy, tart, and sweet, these divine gifts alone help to dilute my hatred towards these sweltering months. You would think that with my love affair with cherries that cherry ice cream would be one of my favorites. On the contrary though, this is not the case. I know Dubba’s wife will hunt me down for saying this but I actually find Cherry Garcia to be very overrated. Sure it’s a fine ice cream and all but it’s not something I find myself craving. 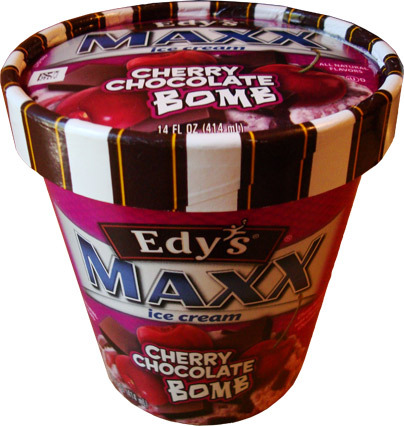 A recent stop to get gas led me to spotting this faux pint of Edy’s MAXX Chocolate Cherry Bomb Ice Cream. It looks as if Edy’s is taking a stab at the flavor profile that Ben & Jerry’s holds in such high praise. 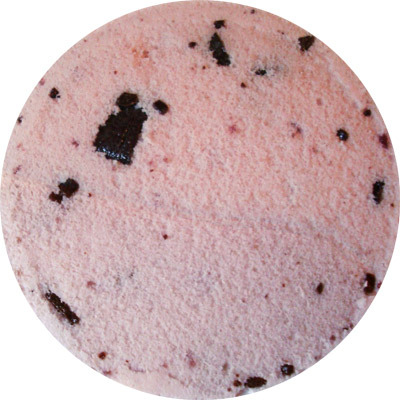 Described as “Cherry Ice Cream with Cherries and Chocolaty Chunks”, it sounds exactly like what those Vermont hippies have been churning out for years. beloved fresh picked cherries minus the tartness. Sure, it’s not going to blow your mind with cherry flavor but that’s fine with me. The thing that truly sets this above B&J’s is their use of huge black cherries. If you look at the photo, you might think that there is a huge chunk of chocolate in the middle. Well you’d be mistaken my friend, that’s a big ole hunk of cherry. Being frozen, you’d think they would be icy as well but once again you would be wrong. Biting into one is just like grabbing a cherry from the fridge. They remain very juicy and full of sweetness. They also have a refreshing chew to them which I really adore. I think I might have fallen in love with this ice cream. Oh yeah, there is a nice assortment of chocolaty chunks throughout the pint. They complement the cherries nicely without being overpowering. Also the change up in texture is a welcome addition. Speaking of texture, I finally understand what Dubba means when he says something has grit. It’s hard to explain but it seems like it’s icy but it’s creamy as well. Yeah, that probably was of no use to you guys but it's inoffensive and I’m actually kind of digging it. It’s not premium by any means but it’s not standard stuff either. I’d say it falls somewhere in the middle but leaning more towards the premium side of the spectrum. cherries from Edy’s. Let the hate begin. Verdict? A better version of Cherry Garcia. Buy Again? If I ever want cherry ice cream I wouldn’t think twice. oh yum! i'll totally be on the look-out for it next time i'm at the store! Wow I'm surprised to see such a good review the cherry chocolate bomb. I love the Edy's MAXX flavors (drumstick and chocolate pb are the best!) but when I picked up a pint of this last week my roommate and I were both turned off by how sweet the base flavor was. I loved the big cherries but I couldn't get past the sickly sweet aritificial tasting cherry ice cream. The only thing bad about a cherry is how messy they are. Eating them with your hands near a computer, while driving, or just in the company of anyone but yourself and hopefully a nice summer breeze, is akin to asking for trouble. 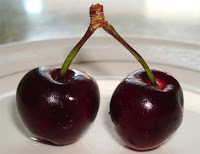 I too am a cherry fan. Have you had the Black Cherry flavor via Talenti (http://cerealandfootball.wordpress.com/tag/talenti-black-cherry/)? I think you'd love it. Hmm weird it seemed to taste very natural to me. A lot more natural than cherry garcia in my opinion. I agree they're very messy but so very worth it. 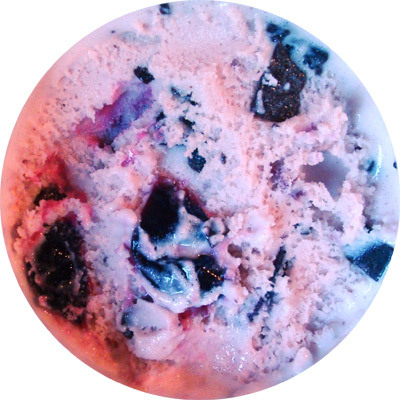 Talenti has started making its way into my area and that flavor has been on my radar. I've yet to find it but I'm still looking for it. The fresh ones can be very juicy in turn making their on the go snackability difficult. Unless you want sticky red stained hands that is but I'm not sure a lot of people would enjoy that. Ben and Jerry's is the best in the ice cream making business. No Edy's product can ever compare to B&J's, so saying that B&J's can learn from Edy's is a disgrace! Shame on you! That's your opinion. Ben & Jerry's is a great company but not the best in MY opinion. In my experience with cherry ice cream that is similar to Cherry Garcia, I would actually rank that as my least favorite. It even gets edged out by Blue Bunny's Froyo version. To each their own though. My sister and I LOVE Maxx Chocolate Cherry Bomb ice cream!!! The best! Waaaay better than any out there. Problem: Where to find it? The 7-11 stores that used to have it no longer carry it. Can't find it anywhere. Anyone near Imperial Beach, CA, please HELP! Audrey, sorry be to be the bearer of bad new but Edy's discontinued their Maxx line this year. @Anon2 I saw 2 dozen pints of this at a Grocery Outlet for $.99 each in summer 2013 and didn't know they'd be that good. My thought is to check the ice cream section the next time (?) you pop in to your local G.O. The nutty buddy clone in the blue container faux pint appreared in my G.O. in July 2014 but at $1.99, that's a bit steep for me as I tend to buy in bulk. Anyway, these MAXX flavors tend to pop up out of the blue. So be ye warned!